Hello dear readers. I recently received a box of goodies to try out from Influenster. You never know when you'll get chosen and you never know what they will send. Luckily, I got picked for a "mom" box! Here's what I got. Also, full disclosure time, I received these products complimentary for testing purposes from Influenster. 1. 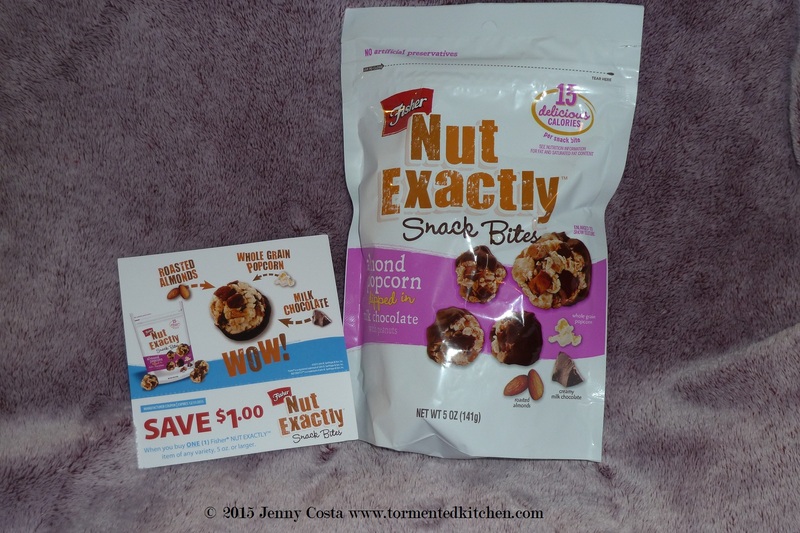 Fisher Nut Exactly Snack Bites (plus a coupon). These are clusters of almonds, peanuts, and popcorn with a little chocolate coating. Each cluster is about 15 calories, so that makes it very easy to figure out how many calories you're getting. These are crunchy and tasty, not too sweet. It's a lot like Popcornopolis or Moose Munch, but lighter. The verdict is Yum! 2. Annie's Organic Star Pasta and Chicken Soup. With the cooler weather, I've been sending the big kids a thermos of soup for lunch at school. 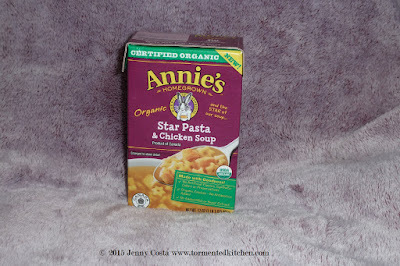 I like Annie's products because they are healthier than regular brands. They are transparent about their contents and if something in non-GMO. This soup was a winner with the kids and with me. I also like the packaging box instead of a can. One box is 17 ounces, so enough for two servings. 3. 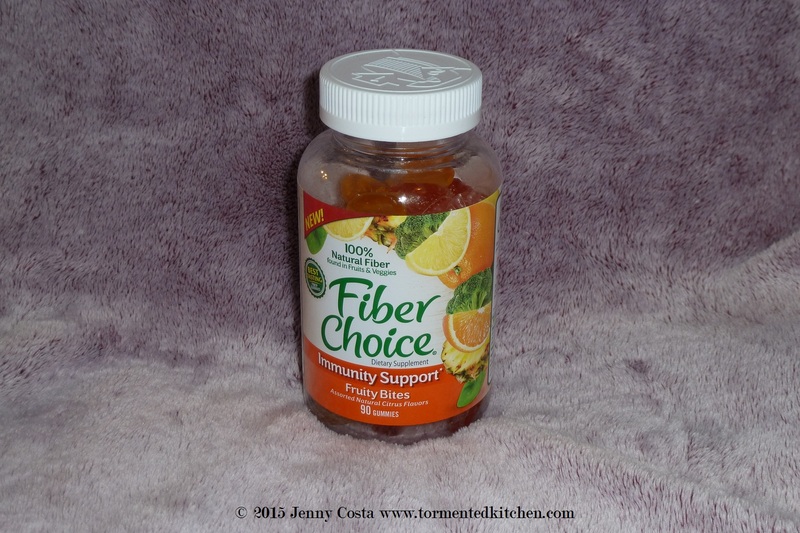 Fiber Choice Immunity Support Fruity Bites. I was definitely curious about these. They are gummy fruit in citrus flavors. My first question was if these were going to be hard. They were not hard, very soft and had a good gummy texture. Second, the flavor was good, really good like candy. I liked it quite a bit. I would definitely buy these in the future. 4. Tide Ultra Stain Release laundry detergent (plus a coupon). I usually don't buy Tide. My normal detergent is All Free and Clear because I have very sensitive skin and fragrance is an issue. 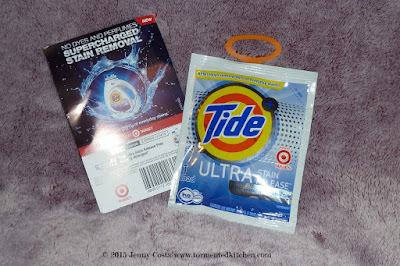 Tide previously came out with a fragrance-free detergent that was just OK. I was very excited to try this. I have a front-load washing machine so HE detergent is important. I used it on a load of kid-stained laundry and it worked well. 5. Ragu Pasta Sauce. So they didn't send an actual jar of sauce, probably because the jars are glass and breakable. 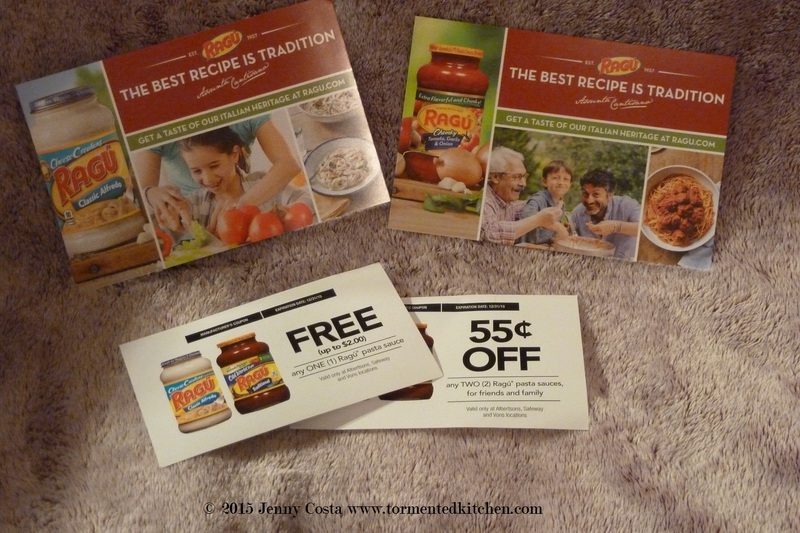 Instead they sent a coupon for one jar free and one for 55 cents off another. 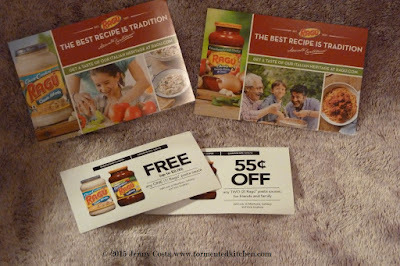 We've used Ragu before and it's one of the brands I normally buy. I bought a fresh jar for this. I like Ragu for a quick and easy busy weeknight dinner. It's also pretty good in my lasagna if you use the regular Traditional tomato sauce. 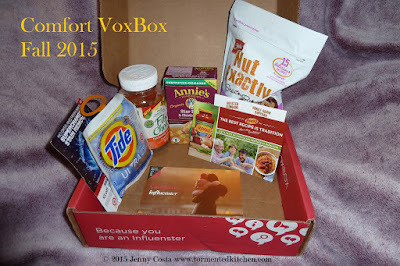 Overall, I really liked all the products I received in the Comfort Vox Box. Thanks, Influenster!